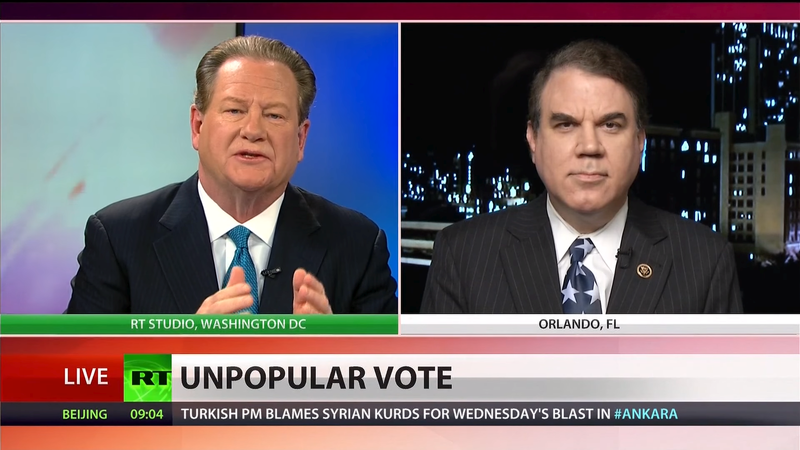 Ed Schultz, former host of The Ed Show on MSNBC (who now has his own web site and also is a host on The Ring of Fire alternative media network), talks with Rep. Alan Grayson (D-FL) about his decision to let the people decide what he should do with his Superdelegate vote. 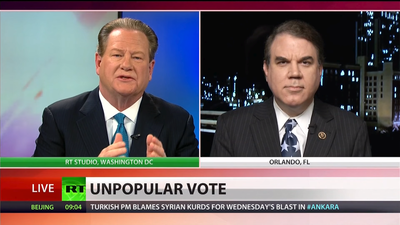 During the interview, Schultz first asks Grayson why so many superdelegates have made a decision to back Clinton "before the people have spoken through the primary process." His response is an honest but very unsurprising, "it shows that the system is rigged." Grayson worries about a situation where a candidate could still be the party's nominee even if they received 59% of the popular vote due to the superdelegate situation. He called this "a betrayal of democracy" and explained, "That's why I've done what I've done here and told people I will follow their advice. Let the people rule," referring to his web site asking people whom he should cast his superdelegate vote for. Schultz probed Grayson about rumors Clinton was inking deals with some superdelegates to raise money for them so they would get re-elected, in exchange for their vote. "Does it work that way?" he asked. Confirming Schultz's suspicions, the Congressman responded, "It's interesting to see how Bernie Sanders rejects that entirely. I haven't seen Bernie make any promises like that." Grayson laments the state of politics today but offers a ray of hope, "The public, our voters, are not going to be fooled by that sort of thing. They well understand that the party politburo has performed horribly for the past several election cycles." Adding that Democrats stay at home and don't vote if they feel cheated, Grayson offered a possible explanation for the poor performance Democrats around the nation suffered, with the loss of several governorships and state legislative majorities, "We're not delivering enough for our people and if we take away their vote, take away their right to determine who our nominees are, then all is lost." If enough people come to the web site and give me their input, then that will show that the people united can never be defeated. I want to be on the side of the people, not the bosses not the politburo and if there are consequences to that, consequences be damned. When asked why he believes so many superdelegates have already committed so far in advance of the people having a say through the primary process, Grayson offers, "I think that they never thought that somebody like me would never bother to consult the people. 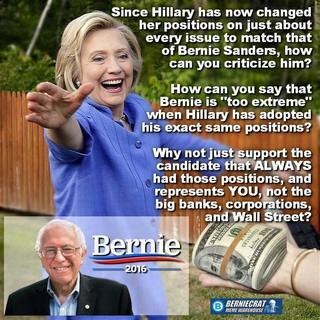 Think about this, 712 superdelegates and I'm the only one who's bothered to ask the people." You can add your voice and let Congressmember Grayson know whom you think he should cast his superdelegate vote for in the Democratic presidential primary race by visiting http://graysonprimary.com/. On a side note, while you do not have to donate to his campaign in order to submit your vote, you will be asked three times to donate. Grayson has launched a bid for Sen. Marco Rubio's (R-FL) seat in the US Senate. Rubio is seeking the Republican presidential nomination and pledged not to seek re-election should that bid fail. Disclaimer: I am an active supporter of Bernie Sanders's presidential campaign.